In the realm of cars and trucks, any model with off-road ambitions is usually equipped with the all-wheel drive. It just makes sense, right? For motorcycles, the absence of a two-wheel drive capability is compensated by the fact that the vehicle is more agile and much lighter. Some bigger adventure bikes tipping the scale at 500 lb and over could use a little extra help to add to their off-roading ability. If you own a KTM adventure bike, this "problem" now has a solution. Christini is a company that specializes in all-wheel-drive motorcycles—it offers a small lineup of Christini-branded 300 and 450s enduros. The most interesting thing the brand has to offer, however, is the AWD conversion kits. Until now, the kits were available only on older generations of Honda 250X and 450X as well as on KTM 05-11 off-roaders. 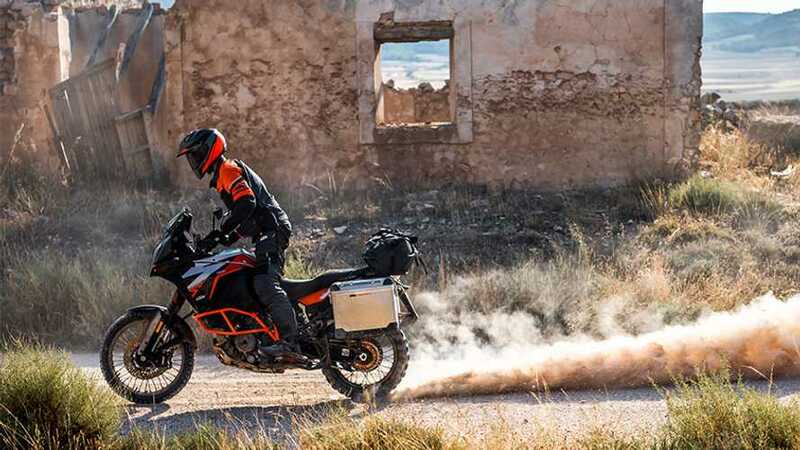 Now, the company has announced that starting this summer, a conversion kit for KTM adventure bikes will also become available, starting with the 1190 Adventure and 1290 Adventure. 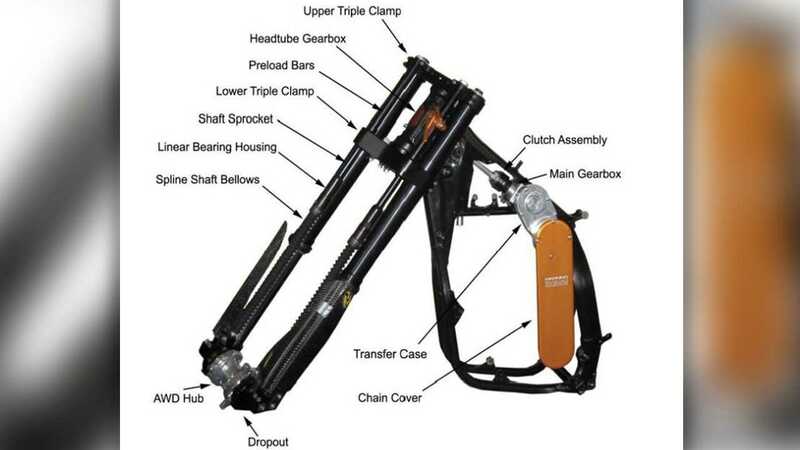 The $4,595 kit includes an entirely new front fork with CNC triple clamps, billet axle clamp, front wheel drivers, the AWD system with matching gearbox and slipper clutch, an engagement switch, and a radiator. The conversion requires a bit of invasive surgery and some decent wrenching abilities, however, the kit for the adventure models (unlike the enduros') is “bolt-on” and doesn’t require that you replace the frame or change the gas tank. The conversion should take 6 to 8 hours according to Christini. This is a framekit for the KTM enduros—the ADV version won't require a frame swap. While the system is able to send power to the front wheel for a proper two-wheel-drive experience, the Christini system includes a traction control component that keeps the back wheel from spinning—the front wheel only spins into action when the rear one loses traction. The system can also be deactivated when desired. There could be more models added to the list of Christini’s conversion kits, including BMW and Triumph. The company also offers a customization service starting at $20,000 (uniqueness comes at a price!) and confirms it can convert any bike to all-wheel-drive—in case you’re having fantasies of an AWD Panigale V4 or an FXDR 114.